Oh, alright, I guess I have to come right out and say it. It’s supposed to be bad. It’s an attack on fan art. Yes, it’s supposed to be funny. Get a print, or a postcard… (and if you want a mug or shirt or anything like that, I can arrange to have it made). 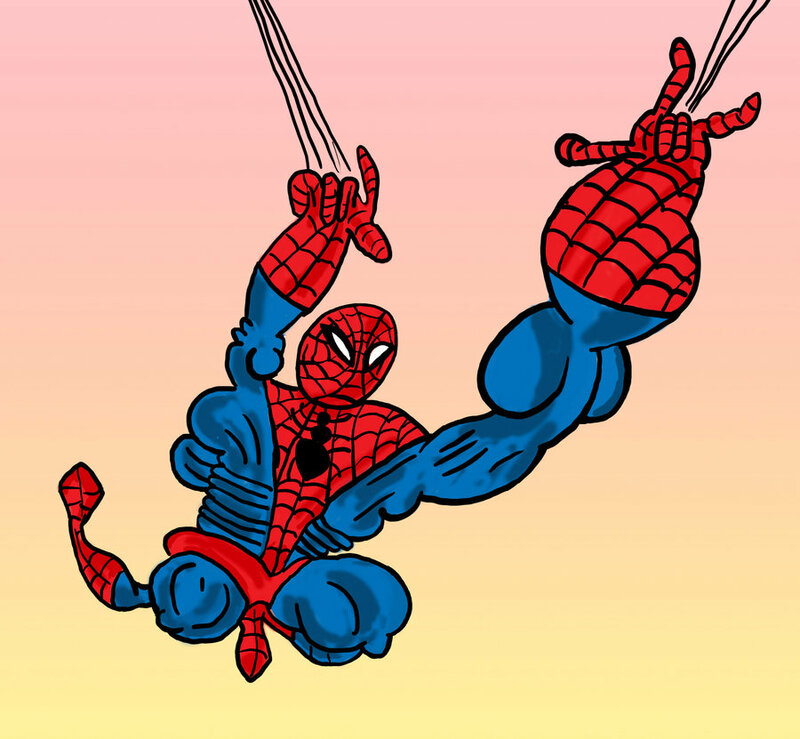 Posted in digital art, funny artTagged art, caricature, cartoon, humor, mockery, parody, satire, spiderman, superheroBookmark the permalink. Well, not every piece of fanart looks like this, and not every piece of original art looks better than this. That’s because it’s an original parody of fan art.